A recent survey of nearly 10,000 Americans shows that travelers are more willing to pay to stay connected while traveling than for any other travel amenity or ancillary service. The nationwide online survey, conducted by the survey firm Forrester’s in June on behalf of travel technology company Switchfly, sought to determine which amenities travelers were willing to pay for, both with airlines and hotels, in order to make their trips more comfortable. “We’ve found that travelers want their ancillary services on their own terms, and they want to be able to pick and choose the services they do and don’t want,” Daniel Farrar, CEO of Switchfly, said. “This survey helps us recognize what Americans are really looking for.” Overall, travelers seemed more willing to pay for extras once on the ground rather than in the air. The most popular amenity was in-room Wi-Fi, which the survey showed 18 percent of American adults – nearly one in five – paid for during the past 12 months. While not as popular as in-room Wi-Fi, nine percent of respondents said they had paid for Wi-Fi in flight. Americans were also willing to pay for ground transportation including independent shuttles, taxis, limos and rental cars (14 percent) and airport shuttles operated by their hotels (13 percent). Those responding seemed less eager to pay for extras related to their flights. Extra bag charges were paid by 12 percent of respondents while only 10 percent paid for upgraded seating. Another nine percent paid for priority boarding and in-flight media. The least popular of the amenities included in the survey were in-room services at their hotels, including mini-bars and massages. Only eight percent reported paying for those add-ons. While airport shuttles were the third most popular ancillary service purchased by travelers, it was also the service that ranked the lowest in traveler awareness; nearly a fourth of the respondents (23 percent) admitted they had not heard of it. Airport shuttles were followed by in-room services (20 percent), in-flight Wi-Fi (19 percent), priority boarding, ground transportation, in-flight media and extra bags (18 percent each), upgraded seating (17 percent) and in-room Wi-Fi (16 percent). When asked which ancillary service they’ve heard of but have no intention of purchasing, more than half of U.S. online adults selected in-room services (54 percent), priority boarding (53 percent) extra bags (51 percent) and upgraded seating, in-flight Wi-Fi and in-flight media (50 percent each). Forty-four percent of respondents expressed an unwillingness to pay for ground transportation while 43 percent said they would not pay for an airport shuttle and 40 percent would refuse to pay for in-room Wi-Fi. The resounding rejection of paid Wi-Fi aligns with the results of a J.D. Power survey that showed hotel guests are increasingly expecting items that used to be considered perks to be offered as standard benefits. 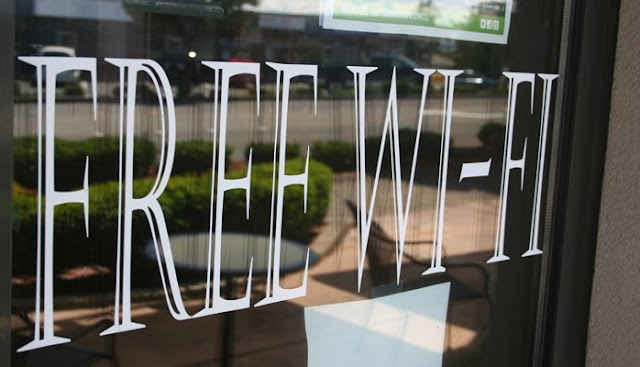 That study showed that hotel guests listed free Wi-Fi as the most important perk followed by free breakfast, free parking and luxury bed linens. The survey also asked travelers about the importance of being able to use loyalty points to purchase ancillary services. Almost half of the respondents, 44 percent, agreed that it was important to them, while 24 percent said that it was not important.